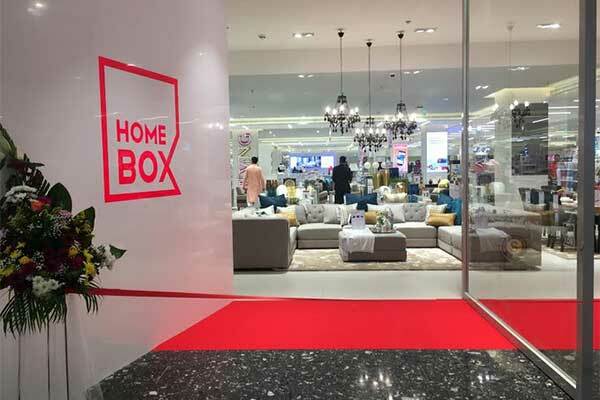 Home Box, a one stop shop for smart contemporary furniture and home furnishings, has opened its 25th store in the GCC at Sharjah City Centre new extension. The store was inaugurated by Renuka Jagtiani, chairwoman of Landmark Group. The newly opened store that spans across 24,000 sq ft boasts the latest collection from the brand with exciting inaugural offers for customers lined up for the next three days at the store. The offers include a 5-piece 1+4 dining table set for Dh399 ($108) and a king size bed for Dh444. The new store will also display the key highlight of Home Box which is the 17 piece home package that includes a sofa set, TV cabinet, coffee table, six-piece dining set and bedroom set. Ajay Antal, CEO, Home Box, said: “It’s an extremely proud moment for all of us at Homebox and this moment will always be very special for us since this is the 25th store in the GCC! Home Box has always tried to be within the reach of its customers and our new store at Sharjah City Centre gives them greater access to us. Home Box has also announced its entry into the e-commerce space by introducing its online store homeboxstores.com. Given the growing trend in online shopping, the brand aims at providing their customers with a convenient and hassle-free shopping experience. Ninety per cent of the brand’s SKUs will be available on the brand’s e-commerce portal.